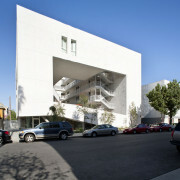 PR Web: Star Apartments was manufactured by Guerdon Modular Buildings for Skid Row Housing Trust in Los Angeles, California. 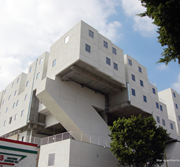 It reused an existing building plus modular construction to provide a mixed-use housing complex with 102 apartments for the area’s most needy residents. 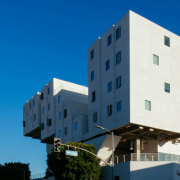 Conrad N. Hilton Foundation announces award to support Skid Row Housing Trust’s work to solve chronic homelessness in downtown LA. 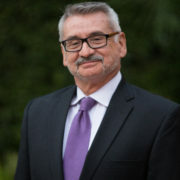 New permanent supportive housing development with commercial space for community retail creates jobs, saves taxpayer dollars and brings to life a new model of economic revitalization.